National Marker, Ear Dispenser LargeNational Marker, Ear Dispenser Large, Item # AEP-D, Draw attention with safety green front pocket and top. 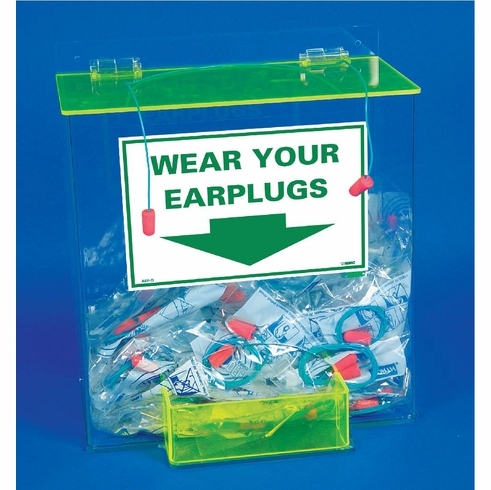 Acrylic dispenser holds over 100 pairs of earplugs. Large (13"x 12"x 8") holds 200 pairs. Table or wall mount.